India’s education scenario needs several reforms to stay relevant with the changing needs of the world. High levels of illiteracy, poor enrolment and lack of quality in education certainly do not bode well for India to claim its rightful place in world order. Addressing this problem first needs a realisation that age-old systems of education cannot continue forever on a mass level. Looking back at the time of independence, the government sector was the major player in the education sector. In contrast, its share today has fallen to 62 per cent. As a consequence, the role of the private sector in increasing access to good quality education, once a distant dream for many poor parents, cannot be ignored. In the absence of efficient measures by the government to address challenges facing education in India, this is one sector that has fast emerged as one of the most sought after for private investment. Several private bodies and individuals have been enthusiastic about setting up schools in India to provide for education. Today, one of the most striking trends in Indian school education is the increase of private sector participation with an estimated 3 lakh private schools that constitutes 40 per cent of the total student enrolment. Private enrolment in elementary schools is approximately 35 per cent and over 50 per cent at the secondary level. Studies in cities like Mumbai and Patna reveal that over 75 per cent of children in these cities are attending private schools. This trend holds true for rural India as well. The Annual Status of Education Report (ASER) shows that enrolment in private schools at the elementary level in rural India has increased from 19 per cent to 29 per cent in the seven-year period between 2006 and 2013. Moreover, private schools in India are expected to grow at 4 per cent per annum to fulfill the requirement of 130,000 additional schools by 2022. To say that there is a lack of realisation that efforts in the education sector need to be ramped both in terms of quality and scale is childish. Report after report points this out. It would then seem logical that the private sector be encouraged and supported. However, when it comes to implementation of measures towards a course correction, one can easily be left wanting. A case in point is the apathy towards private school edupreneurs. “The barriers to enter the education sector and establish a school are high and numerous, and therefore discourage most people who would like to work in the sector,” notes Parth J Shah of the Centre for Civil Society. As with the economy, education too needs to be liberated from the license permit raj. Though different sectors of the Indian economy benefitted from economic reforms in 1991, education is one sector that has been left crying for attention. “Licensing has the same effect on education as it has on the economy. Through a licensing system, the government limits competition and arrogates the power to decide the number and type of schools that serve the educational needs of the people,” adds Shah. To open a school anywhere in India, one needs to furnish 25 to 30 documents, involving a colossal amount of paper work which is then scrutinised by five to six departments. These archaic and inefficient procedures make the enterprise expensive and time consuming to the extent that permission for setting up a school can take anywhere between six months to several years! To set up a school in Delhi, an association or a group of individuals has to be registered as a society under the Societies Recognition Act, 1860 or as a trust constituted under any law for the time being in force. This is to prove the “non-profit’” motive of the society. Second step is that the registered society then needs to obtain an “Essentiality Certificate” (EC) from the Department of Education (DoE). An EC is an essential document certifying the requirement of a school in the particular zone, on the basis of which land is allotted to the society for the purpose of building a new school. An EC is stipulated to avoid proliferation of schools, which could make existing schools redundant. Third, in order to obtain recognition from the DoE under the Delhi Education Act And Rules, 1973, the applicant needs to submit a Certificate of Registration of Society under the Society Registration Act, 1860; a Certificate of Land Ownership for running the school besides half a dozen other documents. The fourth step is to get approvals from civic bodies and public utilities. Certificates required include duly approved Scheme of Management, Completion Certificate, Sanctioned Building Plan, Water Testing Report, Health Certificate, Fire Safety Certificate and Mock Drill Participation Certificate. All this is governed as per the rules mentioned in Delhi Education Act, 1973. Fifth, a school needs to apply for affiliation with different school boards that allow the students of the particular school to appear for public examinations. In order to get affiliated to the CBSE, for instance, the school needs to follow the prescribed syllabi and books by the National Council for Educational Research and Training (NCERT). 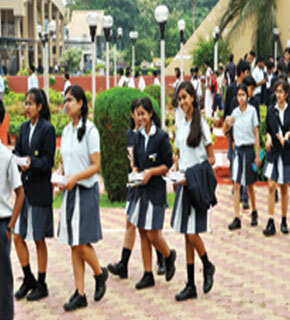 The next step is to submit a new set of documents under the Delhi Right to Education Act 2011 besides giving new details of faculty, infrastructure and various facilities – playground, separate lavatories for girls and boys, enrolment status etc to obtain recognition from the District Education Officer. Having managed to wade through the deep waters of complex regulations, operational challenges confront school edupreneurs everyday. Barring a handful of them run by business houses, most low-cost academies operate under severe financial and infrastructure constraints while offering access to millions. High Capital Cost: Entrepreneurs often face problems in finding suitable and affordable land. Land cost is a key deterrent for schools to start operations with the realty sector grabbing up land at a premium for residential projects. Low Fee Structure: Most of these low budget private schools charge anywhere from Rs. 200 to 1,000 as monthly tuition fee while those in metros charge ten times more. Unlike the preschool sector which is unregulated and charges exorbitant fees, these private schools fall under the close scrutiny of several regulators. As most of them serve the not-so-affluent section, regular hike in tuition fees is not possible. Nevertheless, to keep the enterprise going, schools hike fees to beat inflationary pressures. Poor Access to Capital: Regulations require schools in India to be registered as ‘not for profit’ while banks to do not lend to ‘not for profit’ organisations. Infrastructure: Due to tough competition in the private school space, edupreneurs brand their schools with latest equipments, laboratories, playgrounds, digital and ERP solutions etc in metros and Tier II cities. However, in Tier III and rural areas, infrastructure in most private schools leaves much to be desired. Despite poor power supply, schools do not even have power back-up facilities. Speed Money: With a skewed regulatory framework monitored by multiple authorities, private schools are forced to cough up ‘special funds’ every now and then. Attracting and Retaining Talent: In most of the tier II and III cities, attracting teachers through public examination for government-run schools is much easier as compared to private schools. This is primarily on account of better salary, perks and retirement benefits in the government setup. In comparison, apart from a few private schools that employ well-qualified teachers and pay them well, private schools pay their teaching staff a pittance. Weak career prospects, lack of perks and job security makes it even more difficult for private schools to retain talent. Reservation in Private Schools: A new challenge that can throttle private schools is the mandatory 25 per cent reservation under Right of Children to Free and Compulsory Education (RTE) Act 2009. The law mandates every private unaided school to admit 25 per cent of its entrylevel class from children belonging to economically weaker and disadvantaged groups. Though well meaning, this big ticket legislation enacted during UPA II in 2010 is creating problems for private schools. Inappropriate amounts allocated to schools by the government and delays in reimbursement under RTE are yielding inadequate resource flow to institutions affecting schools and students. It is estimated that over 1 lakh schools have been adversely impacted. Though many private schools are keen on this inclusive measure, though with much reservation, there is a lack of clarity in design and implementation strategy especially in reimbursing the school. Further, a few state governments have reduced the reimbursements as well. Though private schools have to live with the taint of being mere profit-mongers, one cannot ignore the fact that they do serve a purpose. Their contribution in the increasing levels of enrollment in underdeveloped areas is a fact for all to see. Private schools have helped India’s education scenario in more ways than one, especially in areas where government measures have failed miserably. In view of the demands of India’s education, creating unnecessary hurdles towards their establishment and smooth functioning is something that this country can and should most certainly ill-afford.